Siobhan Russell captured all the action on a very crowded beach on the Bank Holiday. 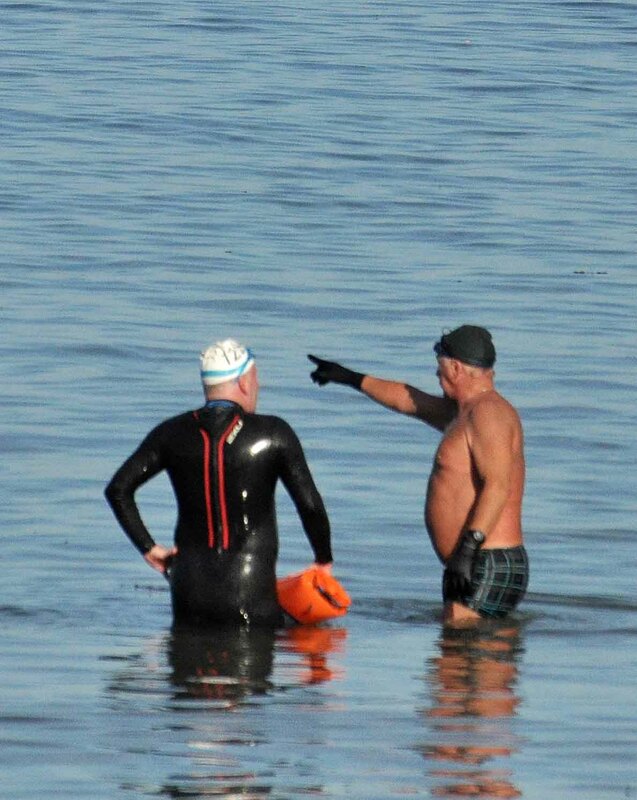 The regular swimmers had to share the beach with huge crowd of sun worshippers. “A” Team – Alan and Anthony – no, not sure what he’s doing…. 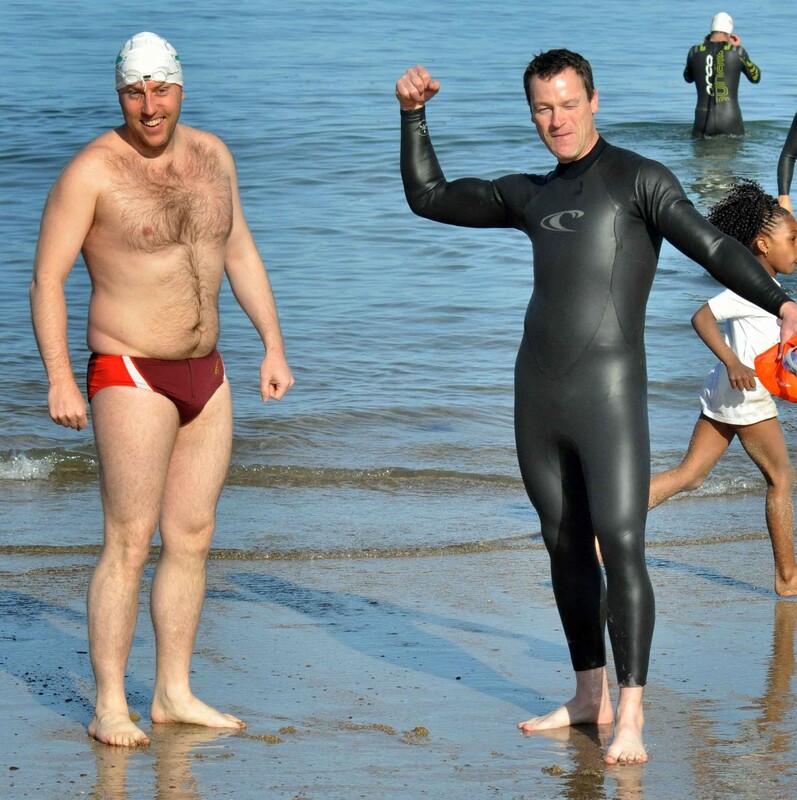 Tom McCarthy was on hand to give excellent advice on where to swim safely, as ever. Tom McCarthy points the way. Huge range of large and small craft on the water this evening. Cruisers and Clunkers – view from the beach. Lots of Triathletes in the water regularly now. 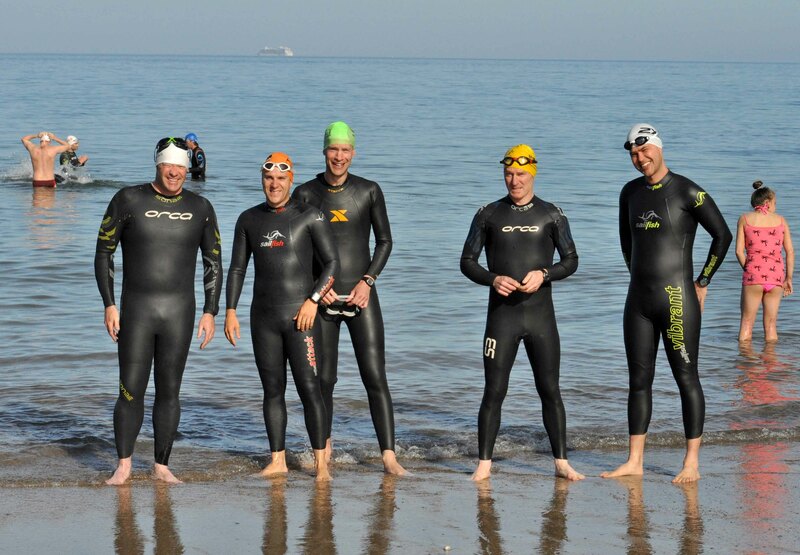 Also many swimmers working towards various Open Water swim races. A reminder that there is a great range to choose from so get entering from the list here. 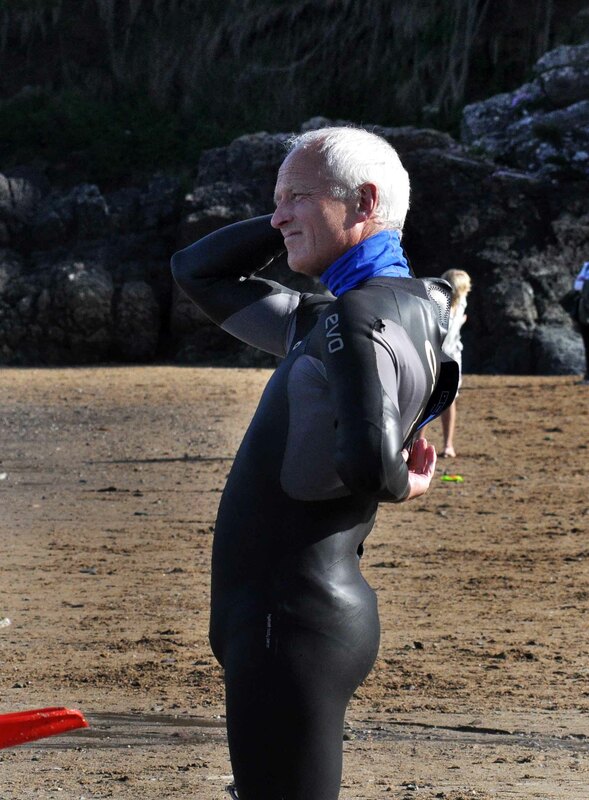 One to note is the Martin Duggan Memorial Swim in Fermoy on Friday evening, June 14 . That will be a beautiful swim. See all of the pictures from the evening and weekend here – provided by Siobhan Russell. 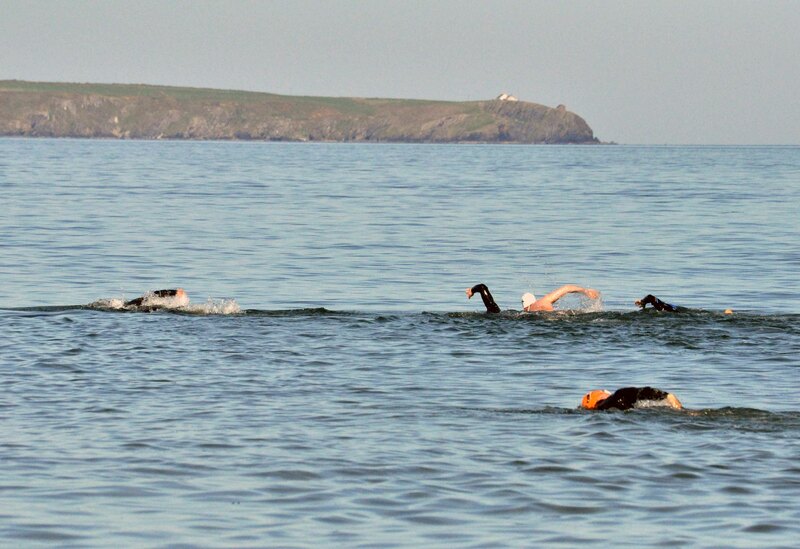 This entry was posted in Information and tagged Myrtleville swimming, Open water swimming - Cork, Open water swimming - Cork - Ireland, Open water swimming events, Open water swimming races, Sea swimming - Cork, Sea Swimming - Cork - Ireland, Sea swimming events, Sea swimming races, Swim Safe, Triathlon by myrtlevilleswimmers. Bookmark the permalink.